Elaine Buss grew up in a wide-open space populated by fields and gardens in rural Lively Grove, Illinois. She received a Master of Fine Arts from Ohio State University in 2018 in Studio Art with an emphasis in ceramic sculpture. 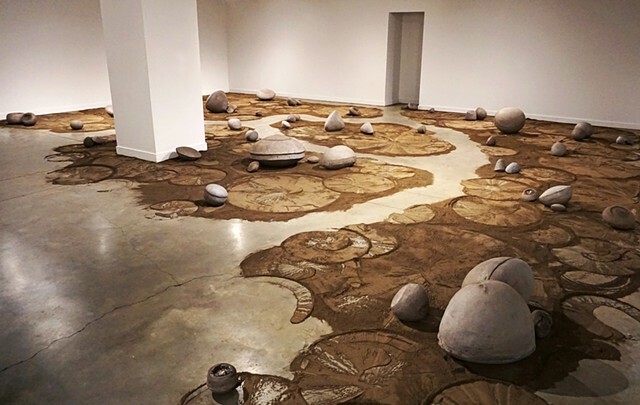 Elaine’s innovative and metaphorical approach to materials has garnered multiple recognitions, including Best in Show in the University of Montana’s International MFA Exhibition for her installation Wander | Wonder. Her artistic practice has earned international support, including funded research into sacred space and material culture during a residency at the prestigious C.R.E.T.A.Rome in Rome, Italy. Elaine’s other awards include the Global Gateway Grant and The International Award for Visual and Performing Arts from Ohio State University. She is currently a Career Resident at Belger Crane Yard Studios in Kansas City, Missouri, where she continues her material research and sculptural practice.